This 12x12 double sided Designer Paper has a beautiful assortment of delicious Borders on the frontside while the reverse side has Horizontal Stripes with lines running through. Look for coordinating Die-Cuts, Washi Tape, Chipboard Pieces, Documented Tip-Ins, 6"x8" Paper Pad and coordinating 12x12 Designer Papers. 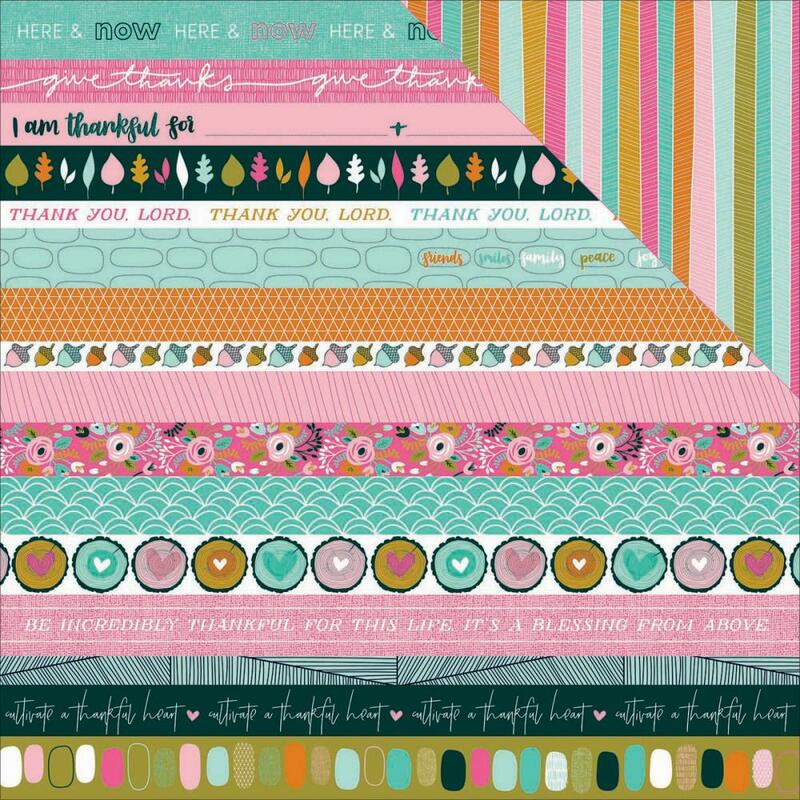 Gratitude Collection by Bella Blvd / Illustrates Faith.